One of the all time best. Whereas the last release, Jump Up seemed to imply that "Elton was Back", this one implied "Elton never Left". There's simply nothing wrong with this release. A straight forward Elton John album that incorporates all the great elements that made Elton John wonderful are present with nothing holding back. This is a definite return of the classic lineup from the seventies. Back in full this time are Nigel Olsson, Dee Murray, Davey Johnstone and Bernie Taupin writing all lyrics. Chris Thomas producing is the only change, but this seems appropriate for the new decade of Elton fans. This album features two of the best and well known Elton John songs of all time. I'm Still Standing which ironically fits the status of Elton at the time, ranks very highly with all his classic rockers of the seventies and I Guess That's Why They Call it the Blues is a great representation of the other, softer side of Elton that also ranks as a classic. Two other songs were also big on the other side of the Atlantic Kiss The Bride and the title track. The former is a great rocker, while the latter has the rich "later" style of heavy keyboards and stylish panache. Cold is Christmas is a gentle sad ballad that probably would have fit better had it not opened the album. Religion is an upbeat, almost twangy song of redemption, that ironically follows the somewhat depressing Too Low For Zero song. Side Two doesn't disappoint either. Crystal has a little too much eighties style for today's taste, but that's to be expected. Whipping Boy is good danceable rocker in the middle as well. The album closes with the two lesser known, but great sentimental ballads. Saint should have been a classic single that unfortunately got buried in the mix and the closer One More Arrow, a song about a passing away of a hypothetical admirable friend is one of the best lyrics Bernie has ever written. When the album was released in 1983, it was near the beginning of the video age and MTV. Whereas this technology alienated many older artists, Elton seemed to warmly embrace the new medium. I'm Still Standing for example, probably became as popular as it did, thanks to the well known colorful video. 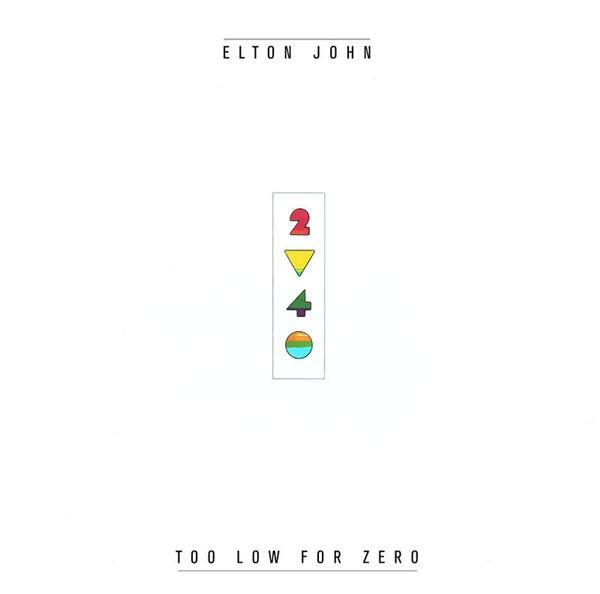 Although Elton would still have his ups and downs throughout his career, this release made it clear that unlike many artists, Elton could defiantly rise up again after being down in the dumps commercially for many years. He was now a classic.